Available 24/7 unless reserved for LGC-sponsored events. The range features ten firing positions with motor-driven target carriers. The Indoor Range Committee manages the operation of the Indoor Range and procures consumable materials. Two covered outdoor firing ranges; a 25 yd./50 yd. range and a 100 yd. range with permanent, concrete shooting benches. The Outdoor Range Committee manages the operation of the Outdoor range, sets the hours of operation, and oversees the Range Safety Officer (RSO) program. An outdoor range set up for clay pigeon shooting of standard trap, and wobble trap. Shot larger than 7 ½ and slugs are not allowed on the Shotgun range. The Range Committee manages the operation of the Shotgun range, provides Shotgun Range Safety Officer training, sets the hours of operation, and the clays fees. 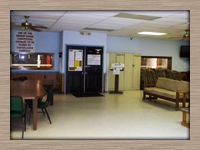 Our Clubhouse is used for meetings, swap meets, training, and informal gathering of members. It can be accessed 24/7 by members using their electronic membership card. Restroom facilities are available. The Clubhouse is not a range, so range rules do not apply in the Clubhouse proper, but do apply upon entry into the Indoor Firing Range at the rear of the Clubhouse. Members and guests are expected and required to handle firearms safely in the Clubhouse. Our business office is immediately on the right upon entry. Just outside the business office, range incident report forms, membership application forms, copies of the latest quarterly bulletin, and other administrative forms/information are available. Limited parking is available in front of the Clubhouse. Additional parking is available east of the Clubhouse past the garage along the line of the trees. Please do not block our dumpster. 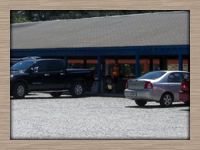 Parking is available at the Shotgun Range and at each firing position of the Outdoor Rifle Ranges. LGC offers our wooded area near the Clubhouse for Scout camping. Interested Scout leaders should contact our business office to get in touch with our Scout Coordinator and schedule camping.